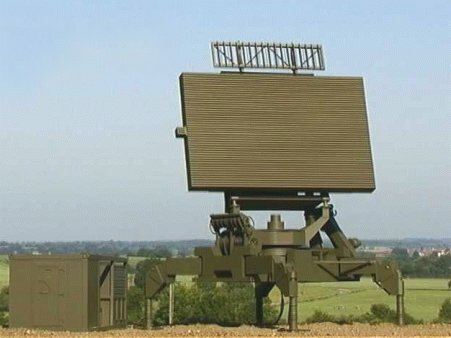 The Master M is a solid state, 3D- air surveillance, long range radar system. The radar is available in both fixed and mobile configurations. It is suitable for unmanned operation either autonomously or in a network. 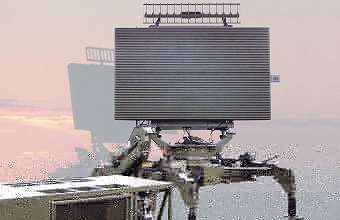 The linear phased array antenna consists of 56 rows. It is a tactical 3D-radar that electronically scans in elevation while rotating in azimuth. The elevation is covered by a number of thin pencil beams. As electronic counter-counter measures, the system offers a high transmitters bandwidth, high side lobe suppression, automatic selection of the least interfered carrier frequency and pulse to pulse or burst to burst frequency agility. Top of the primary antenna there is a monopulse LVA antenna for IFF interrogation. The system has also an integrated simulator for training of the operators. During transport, the system consists of a convoy of 4 trucks, each with a payload of 10 tons, carrying four 20-foot ISO compatible containers, and one 20-foot ISO platform on a 20-ton semi-trailer. The assembly or disassembly takes place with a crew of 10 people within 2 hours.